Ly Hun lives in a small village in northwestern Cambodia. 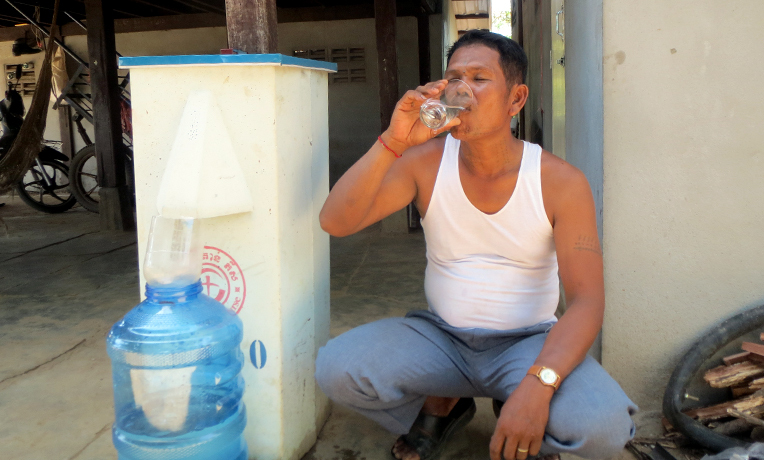 Samaritan’s Purse gave BioSand water filters to several members of his community. Before I received the BioSand filter, I spent a lot of money on drinking water. When Samaritan’s Purse came to my village to install the filters, I was eager to try it. The filter sifts water through sand and gravel to remove contaminates. Now I save 360,000 Riel (around $88) per month from not having to buy water. I know the filter is important for my family and is also good for my neighbors. It can help our health and save us money. We can move from poverty into happiness. I would like to thank you for giving the filter to my family.